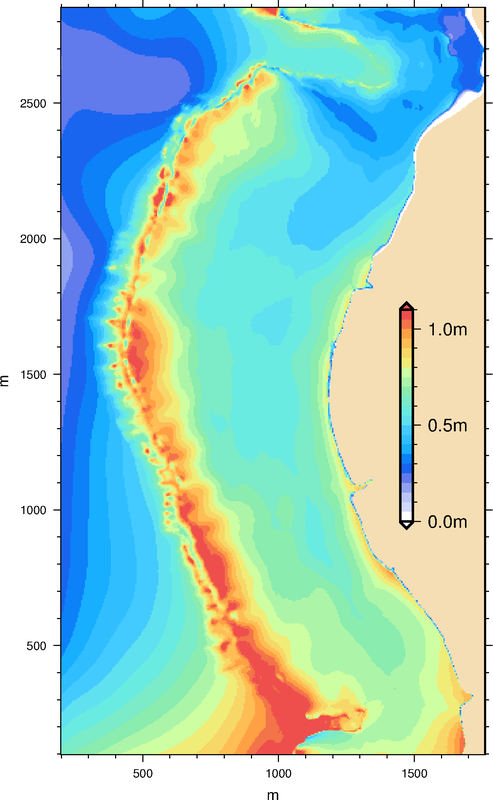 Find out about wave and inundation models. 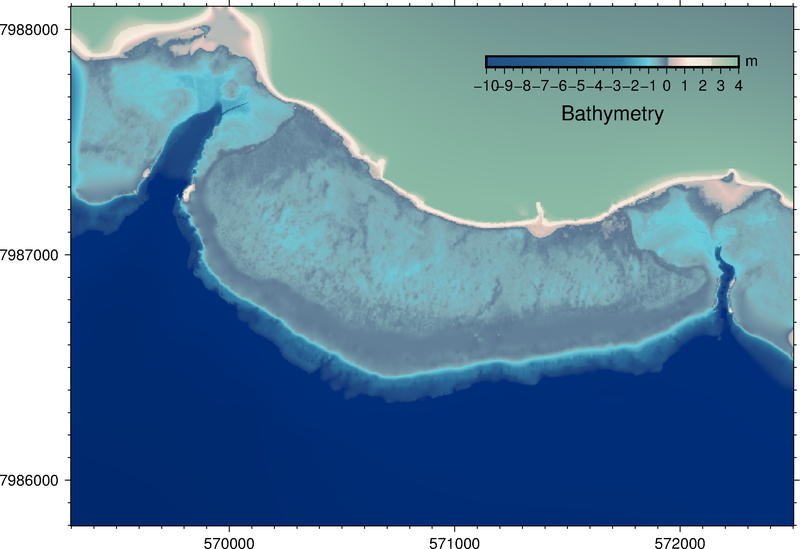 Coastal inundation in fringing reef environment is not trivial. 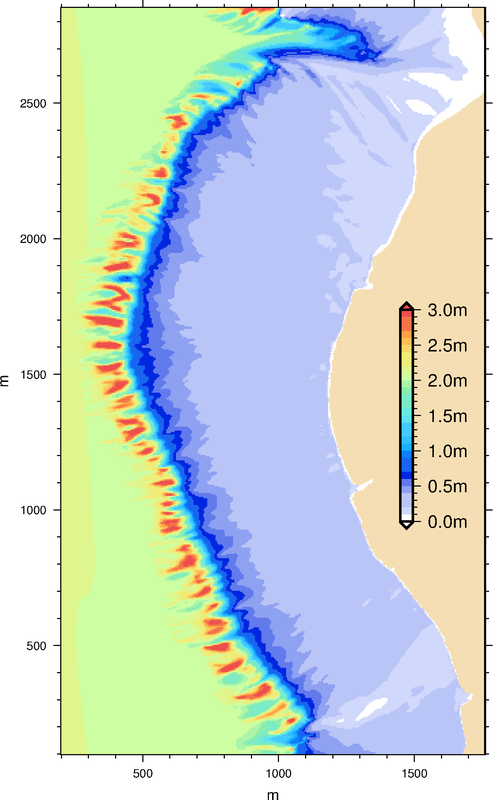 It is the result of the combined effect of an elevated water level at the reef crest (Tide+surge) and the waves breaking on the reef. The reef flat traps water from the breaking waves on to the reef to create the wave setup. Breaking wave group cause infragravity waves (See more here) which can cause turbulent bores. To be able to predict the extent and intensity of inundation means that you are able to simulate every components that cause the inundation (Figure below. 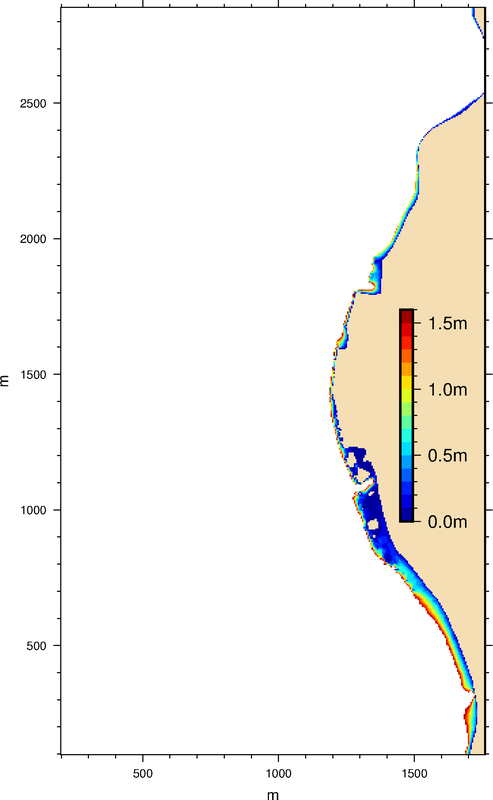 light blue: tide; dark blue: wave setup; orange: infragravity waves (RMS amplitude); red: short wave (RMS amplitude)). There are only a few models that can capture the interaction of waves, wave groups and water level. 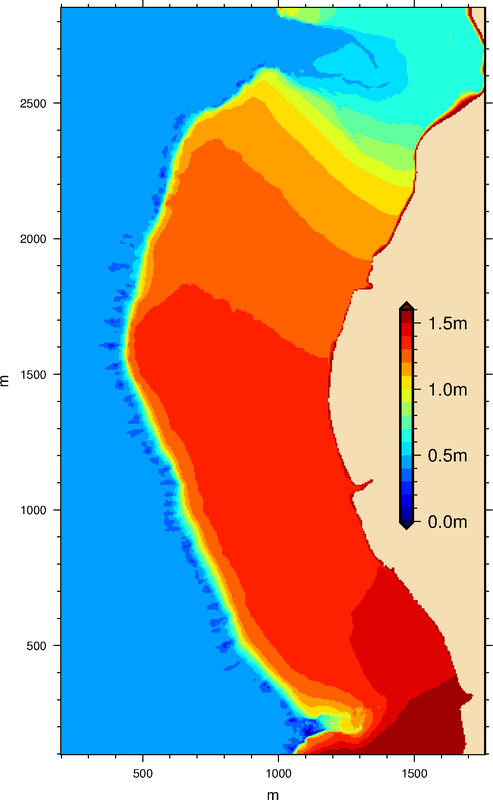 In the WACOP project the XBeach model was used. In fact 3 different versions of XBeach were tested and used in the WACOP project. 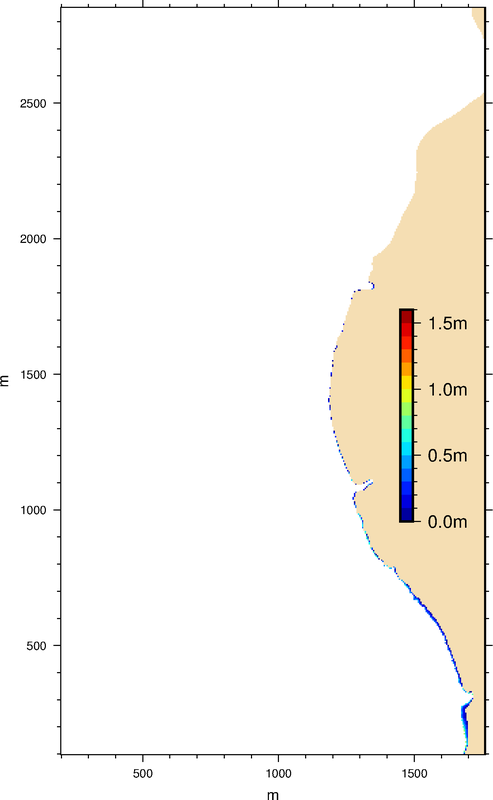 The model can then be used to predict areas where the infragravity waves are the largest, where the wave setup is higher and better understand the vulnerability of different part of the coast.